We are overwhelmed, the donations do not stop, it is continuous, minute by minute. Meanwhile we also installed a “Donation Button” to make it easier for you. Some people asked why FIREARMS UNITED was founded in Poland and collects money in Spain. Here comes the answer: The idea and also the webserver came from Poles. Soon we found lots of coworkers and partners worldwide. As an independent online campaign network FIREARMS UNITED is not a registered association and cannot collect money. 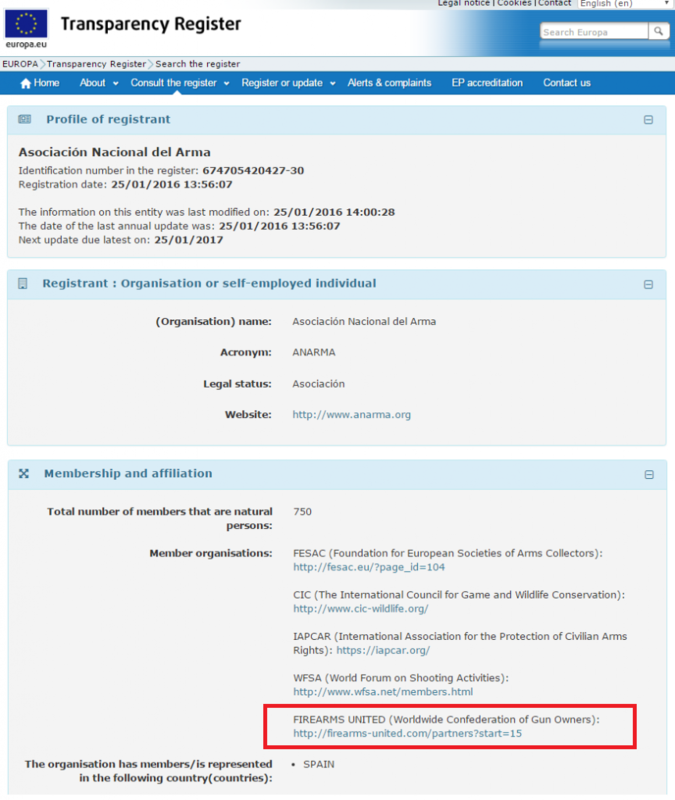 Therefore our partner in Spain who is registered in the EU transparency register collect the money for our fighting fond. Could you add the IBAN under the Donate Button? Et si la Commission nous pondait une Directive renforçant l’épreuve du permis de conduire afin supprimer les accidents causés par les chauffards qui roulent sans permis? Ne riez pas: la Directive sur les armes est exactement du même tabac! How about the Commission issueing a Directive making the driving license harder to get so as to supress the traffic accidents cause by those who drive without a license? Do not laugh: the Directive against firearms are out from the very same barrel! Et si, au vu de la malheureuse actualité, la commission interdisait les couteaux? Merci pour votre action en faveur des tireurs sportifs. Je vous ai fait un virement direct sur votre compte. Encore merci. Could please comment in English if you visit English posts? And if you don’t speak English, write it in French and copy automatic translation? Pourrait s’il vous plaît commenter en anglais si vous visitez les messages en anglais? Et si vous ne parlez pas anglais, écrire en français et copier la traduction automatique?